Jennifer Stilwell is the EVP/Chief Strategic Officer at VisitGreenvilleSC, the official destination marketing organization for the City and County of Greenville, SC. VisitGreenvilleSC’s work in economic development is repeatedly recognized by industry peers for excellence in destination marketing. 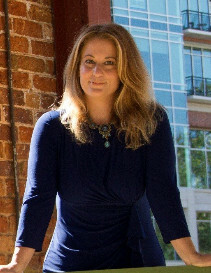 Stilwell is an accomplished, energetic and versatile marketing professional with more than nineteen years in the advertising agency business prior to her jumping client side in her most recent role as EVP/Chief Strategic Officer and Chief Marketing Officer with VisitGreenvilleSC. A high-level strategic thinker and key contributor to the creative process, Jennifer is arguably one of the travel and tourism industry’s most knowledgeable and decorated brand strategists. Her success with powerful brand-building, results-driven marketing continues with the highly successful, internationally award-winning “yeahTHATgreenville” campaign. As the lead brand architect and brand navigator, in just under four years, the “yeahTHATgreenville” brand campaign has been cited as a Best-In-Class example in travel and tourism marketing, twice winning the prestigious Platinum Adrian Award from HSMAI. In total, the “yeahTHATgreenville” campaign has been recognized with thirty-four prestigious awards in four years.